This book surveys the history of God's redeeming grace. 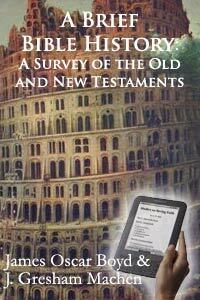 It reviews Old Testament history, disclosing the stream of God's redeeming purposes flowing down through the older times. It reviews New Testament history, disclosing the broadening and deepening of that purpose for us men and for mankind in our Lord and Saviour Jesus Christ and his Church.